Do you strive to increase your brand’s popularity amongst your target market? Have you tried a variety of promotional techniques, but failed? Why don’t you try handing out free items and samples in our Imprinted Frosted Shoppers? Our courier bags will make your brand a star! A number of businesses have found our Imprinted Frosted Shoppers as a useful tactic to promote their products and services. 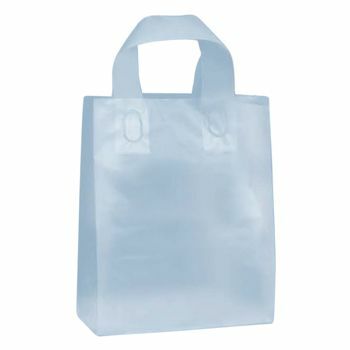 Grocery stores, retail outlets, bakeries, food stalls, and more have used our consolidated bags to bag items up. Our bags are easy to carry and place on the floor. 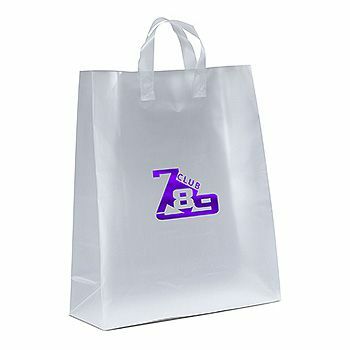 Do not use conventional shopping bags to promote your store or event, but use our high quality Imprinted Frosted Shoppers. Our customized bags will help you get the word out about your business!